Hi guys! 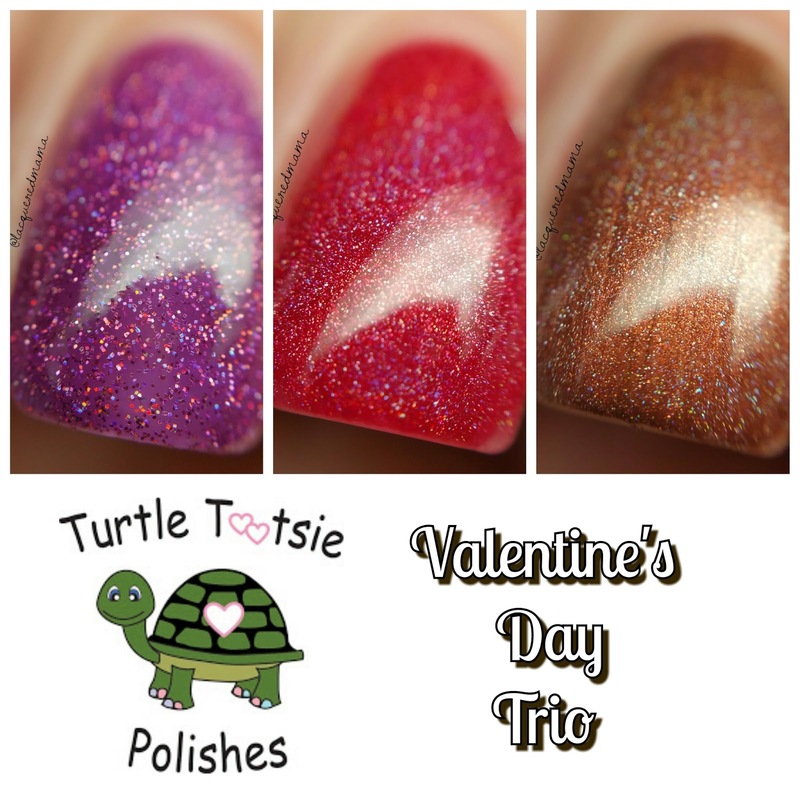 Today I have Turtle Tootsie Polishes Valentine's Day Trio to share with you! 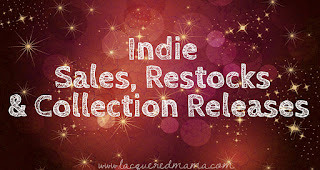 Three absolutely gorgeous polishes that are perfect for the holiday! 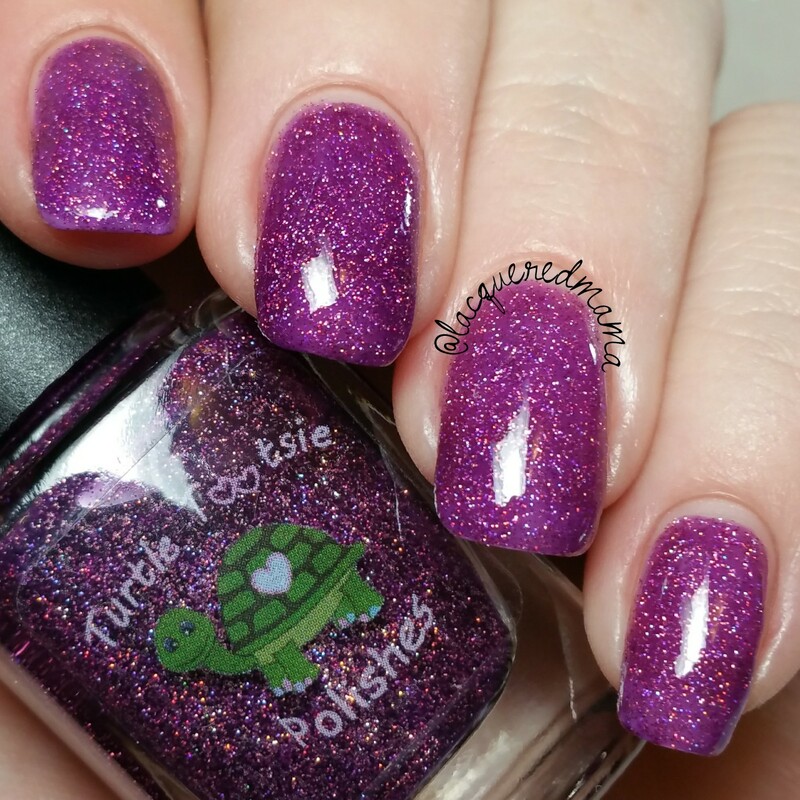 Love Potion is a purple jelly base filled with pink micro glitters. 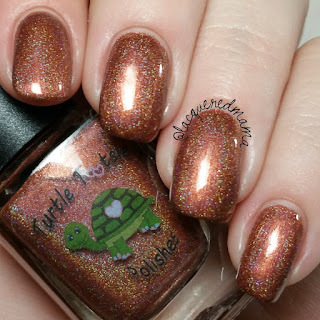 Such a gorgeous polish! This was opaque for me in two coats, but depending on your application you may need a third coat. 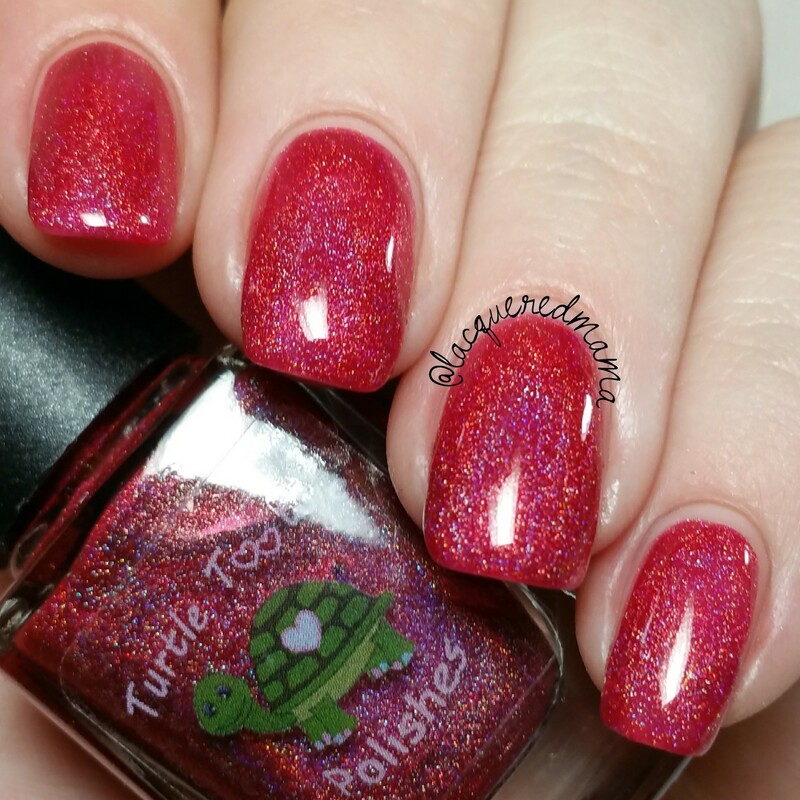 Passionate Kisses is an amazing red linear holo with a wonderful formula! This baby is completely opaque in just two coats. This is also great because it's really a true red holo that doesn't lean too pink. Cocoa Kisses is a beautiful medium brown holo! Absolutely gorgeous! Depending on your application you could likely get away with just one coat as I did here. Or if you prefer you could do two thin coats. The Valentine's Day Trio will be available in Turtle Tootsie Polishes' shop on January 22nd for $25/full size and $15/mini size. The full size set will also include a free mini chocolate scented topcoat. If you purchase the mini set, you can also purchase the topcoat for just $2! what an adorable trio! That coppery shade is wonderful. I love Passionate Kisses and Cocoa Kisses! I'm totally in love with this trio. 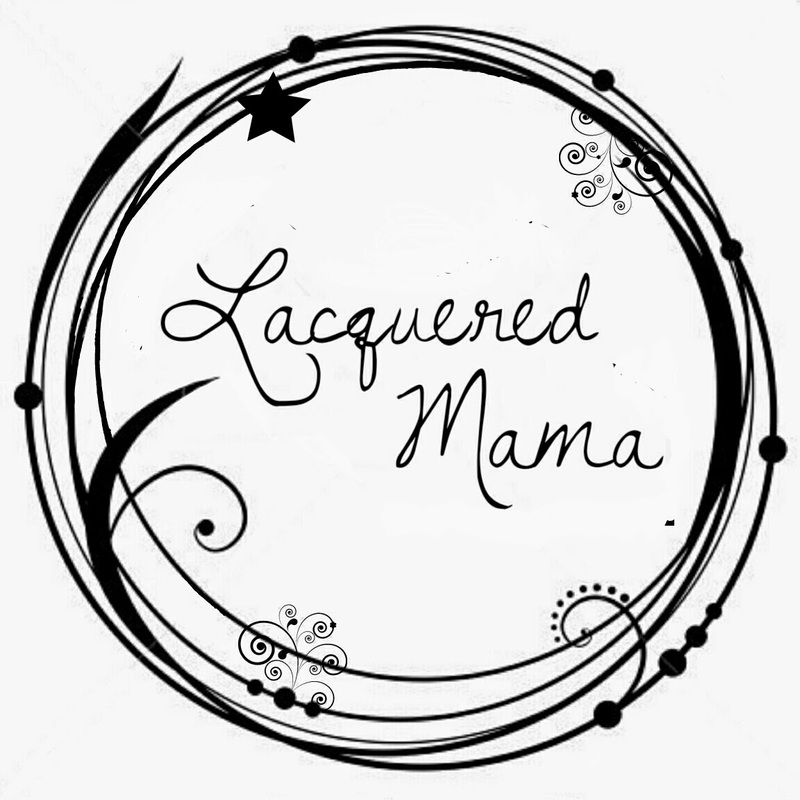 So perfect on you! What a beautiful trio! Gorge swatches! Such a great trio! I love Love Potion! 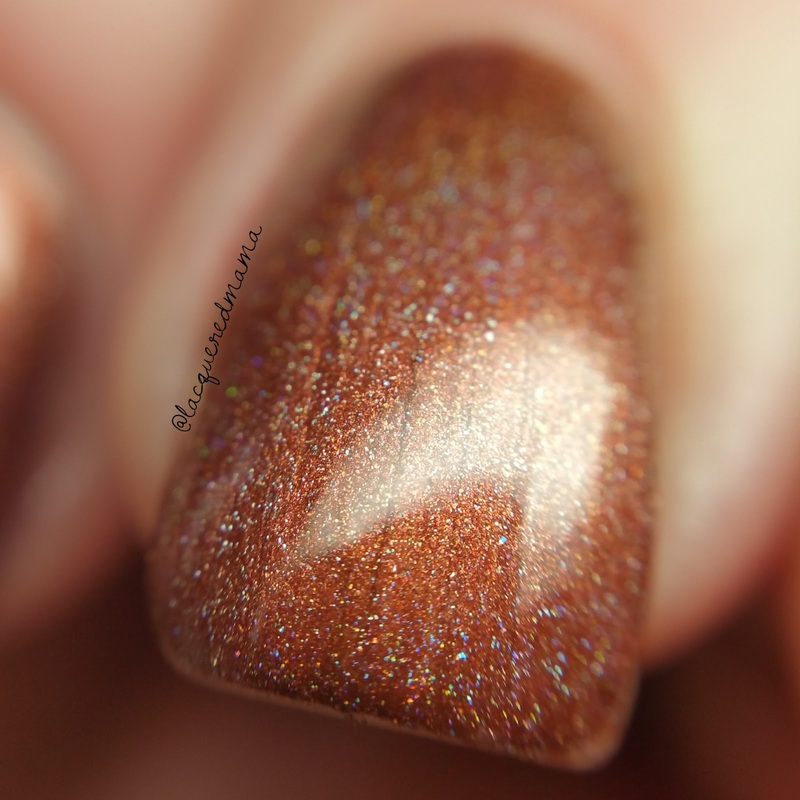 they are all gorgeous, but I am obsessed with Love Potion!! Passionate Kisses is hands down my favorite, so gorgeous! I am always a sucker for a red. These are gorgeous!! :) Love Potion is my favorite!